Shelby County enjoys one of the most comprehensive and effective emergency response systems found anywhere in the U.S. In partnership with Myrtue Medical Hospital, EMA created the ﻿Shelby County Human Resources Directory﻿ - a comprehensive list of contacts for any emergency. Law enforcement and medical support. The County has nine ambulances and two law enforcement agencies: a nine person Harlan Police Department and an eight person Shelby County Sheriff’s Department. A centrally located hospital, within 30 minutes of one of the nation’s premier trauma and medical hospitals, provides residents with rapid access to the most sophisticated and effective medical care that can be found. Rapid defibrillation, a recognized standard that is proven to save lives in emergency cardiac care, is provided by every community. Every Shelby County resident is within minutes of this lifesaving tool. A centrally located Paramedic ambulance and highly trained emergency medical technicians in outlying communities are sent to a citizen’s aid within minutes of being stricken. 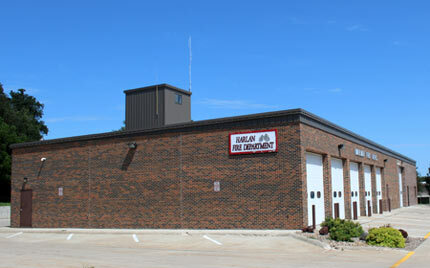 Firefighters (135 in the county serving 10 departments) are trained, not only in the latest firefighting skills, but are capable and equipped for confined space rescue, hazardous materials incidents at the technician level, and in managing emergencies through the National Incident Management System. The City of Harlan fields a 75 foot telescoping ladder truck that is capable of reaching above our tallest structures and has a full-time fire chief. Specializing in Long Distance medical transportation. Offering State Certified Critical Care Transports and State Certified Critical Care Paramedics. Medivac performs complementary EMS standby services for public school sporting events and offers complimentary ambulance demos to promote community education. Paramedics and Emergency Medical Technicians (15 Paramedics and 60 EMT’s in the county) provide 24-hour, seven-day-a-week advanced life-support emergency health care coverage. Rapid Transport via helicopter to more specialized health care is minutes away from some of the Midwest’s finest research hospitals in Omaha, Nebraska and Council Bluffs, Iowa. This quick response system relies on a state of the art, computer driven, enhanced 911-telephone system. The “jaws of life”, a specialized tool for the extraction of auto accident victims, is found in 10 different communities. When you call for help in Shelby County, the 911 center knows the address from which the call is made, the callers name, and has available any special information about that caller or business they wish emergency responders to know. This is available, even if the caller is unable to speak due to a medical condition or being threatened. 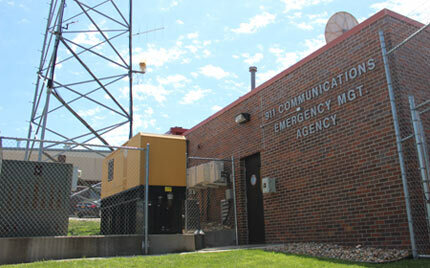 Cell phone 911 callers are located within feet of their location. With this system, callers are instructed by highly trained and certified 911 dispatchers in what to do before rescue workers arrive. This sophisticated system save lives.